Ask the Professor: What does “Winter’s Bone” reveal about extreme poverty in the US? 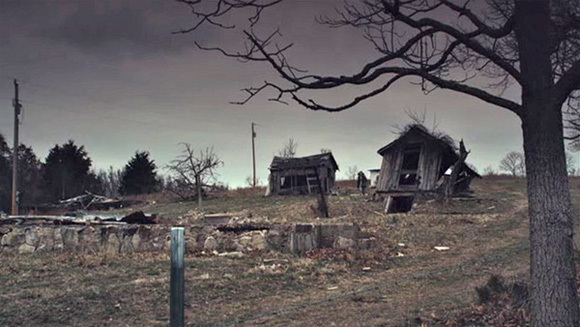 ScreenPrism: Winter’s Bone (2010) draws attention to a world within the US of extreme poverty and almost no opportunity. What’s special and important about how the movie accomplishes this task? Professor Marc Lapadula: Winter’s Bone is set in a world that the majority of mainstream America knows nothing about: the Ozark Mountains in Missouri. We hear about meth labs and meth busts on the news, but here we're taking a tour through the devastation of a community that is so poor that somehow this is what they're forced to turn to in order to make a living. This irony is the drug is something that will get you killed if you use it — it destroys you. By selling it, you're destroying others, to profit off of other people's deaths and their misery. It's a harrowing world that is brought to life. The film doesn't whitewash it anywhere. It shows people with their warts and all. One thing that's really important is the section of the film when she talks about signing up to the military and wanting the bonus to save her family from losing their house — but she wouldn’t receive the bonus right away, and she needs it right away. The majority of people in the military, they're not only going into the military because they have this incredible sense of patriotism and devotion to their country. A lot of them do, and it's a beautiful thing. (Others are kids who might have come from money, but the military was a tradition in their family.) But many soldiers turn to the military because they need a job, and it's a dirty job because, no matter what they are paid, when they come back they're not taken care of. There are still huge lines awaiting many veterans who need medical care and are not getting it. Many of our veterans fall into the hole, and they never climb out. This is a national disgrace — it is an American tragedy. Winter’s Bone suggests that the military maybe could be Ree’s way to transcend this world, but they're going to make her pay an amazing price before they let her escape the world. It's not like they're going to give her that bonus right away so that she can help her family and then go serve our country. So she can't do it. But many who do go into the military, what are they coming back to? In the Michael Moore documentary Fahrenheit 9/11 (2004), he brings the camera through Appalachia, and he says that so many of these people are the first to answer the call of duty to protect our nation, so why aren't we respecting that sacrifice? Why aren't we making sure these people are cared for? The people who should get the best care often get the worst. What's so incredible about Winter’s Bone is it illuminates the extreme difficulty of escaping this world of poverty: what are the ways out of this community? You can drive physically out of it, but you're going to go somewhere with very little education, and what are your job prospects? Or you can go into the military. You think, maybe I'm going to have a different life, but your life is on the line in Iraq, and if you get hit with an explosive device that gives you brain damage, you return to a community like this — and how is this community equipped to take care of anybody who’s been injured? Winter's Bone is a powerful film and one of the best movies I've seen in years. It also reads really well as a screenplay. If you want to be a screenwriter, it’s definitely a script to study, and it's only 90 pages long. I'm not trying to be a bummer, but when I teach about films that changed America, the reason they changed America, the majority of them, it's because they are bummers. The characters we’re rooting for do die at the end; goodness doesn't triumph over evil. Evil should be vanquished, but it’s not, so it's up to us to try to take it on in the real world. If we show instead that evil is vanquished easily in the course of the movie, then we exit the theater thinking everything's copacetic — we don't need to do anything; it's already been done — and that's far from the case. Read more from Ask the Professor: How does "Winter's Bone" comment on gender roles? Ask the Professor: How does “Winter’s Bone” comment on gender roles?